Showing results by narrator "Anna Thompson"
Some say we are the sum total of what we surround ourselves with. For example, what we choose to watch on television or listen to on the radio, who we choose to surround ourselves with, and even the thoughts we think all have effects on our overall perceptions and thought patterns. Just like the foods we eat over time create our bodies, our thoughts shape who we are and ultimately what types of situations we manifest in our lives. 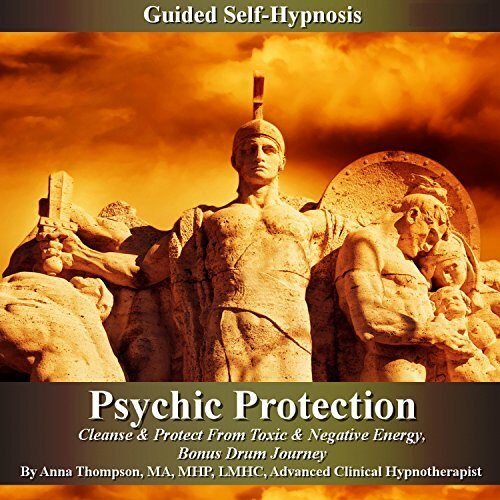 This Psychic Protection hypnosis program was designed to assist the listener in releasing unwanted negative or foreign energy, releasing toxic ties, and protecting the energetic, or psychic self. 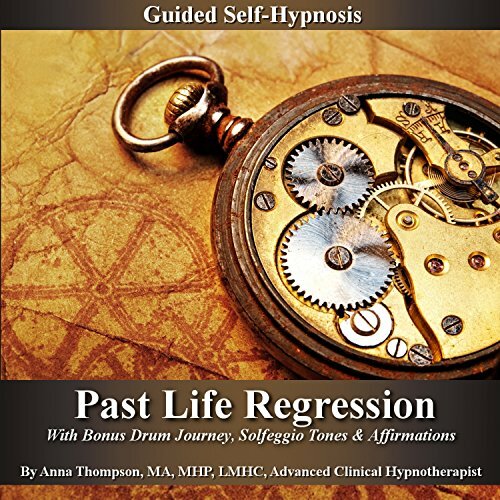 This "Past Life Regression" guided self-hypnosis program was designed to assist the listener in accessing past lives, whether for metaphorical, self-analyzing purposes, spiritual purposes, or just for fun. It is also designed to assist the listener in gaining a stronger sense of self, releasing unwanted life patterns and getting in touch with their life purpose. The Induction section features isochronic tones which are a form of brainwave entrainment to help achieve deeper relaxation. 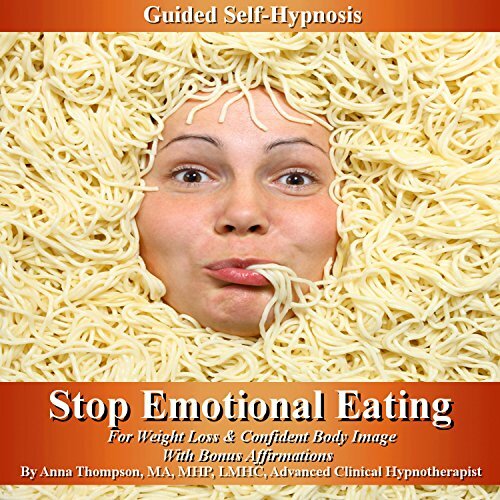 This program was designed to assist the listener in reducing compulsive eating, enhancing body image, and losing weight. Some say that we are the sum total of what we surround ourselves with. Just like the foods that we eat create our bodies over time, our thoughts shape who we are and ultimately what types of situations we manifest in our lives. 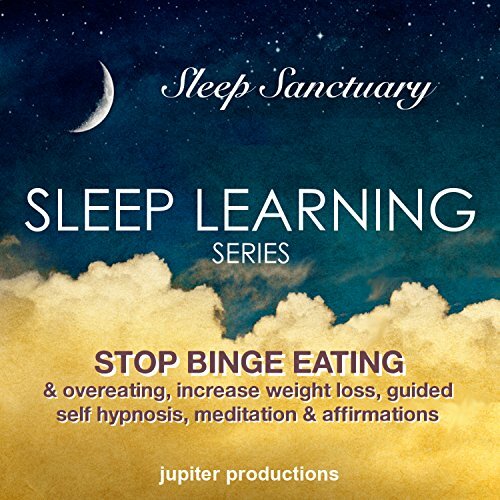 This Stop Emotional Eating guided self-hypnosis program was designed to assist the listener in identifying and releasing emotional triggers related to emotional eating, as well as creating new, positive behavior patterns to deal with those emotions. This Manifest Wealth & Abundance program provides an introduction, induction, deepening, and affirmations which are associated with success, attracting wealth and abundance, and mastering yourself, so that you can create the life you want. 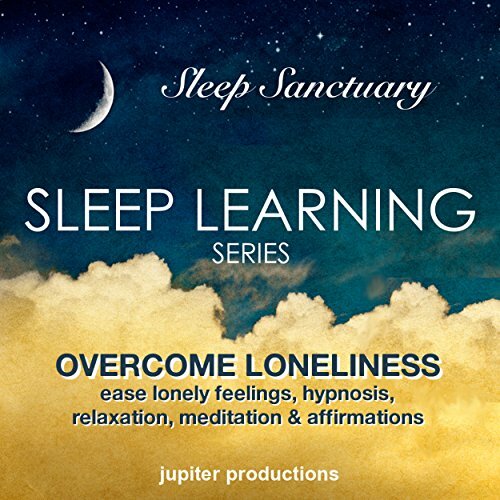 This "overcome loneliness" sleep learning resource was designed to assist the listener in gaining self-thoughts related to enhanced emotional comfort, self-love, self-care, and an increased sense of connectedness to the self and the world. This Money Management sleep learning program was designed to assist the listener in gaining beliefs and behaviors related to excellent money management, increased abundance, and debt elimination. This sleep learning program was designed to assist the listener in gaining self-thoughts related to releasing emotional wounds from the past, repairing the relationship with the self, gaining closure and reclaiming the whole self. 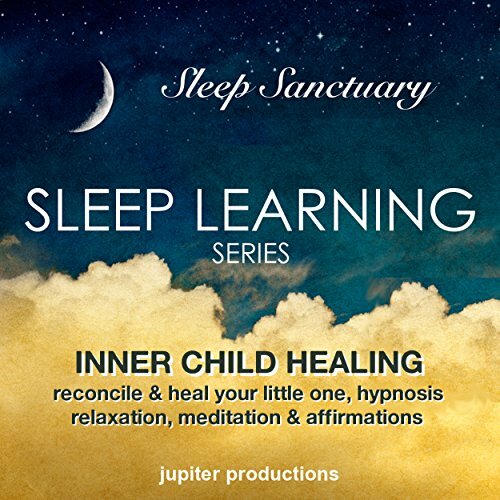 This "inner child healing" sleep learning resource was designed to assist the listener in gaining a sense of unconditional self-love, releasing burdens carried from childhood experiences and reclaiming parts of the self that may have been left behind. It is also designed to assist the listener in gaining thoughts related to self-support, self-care, and self-compassion. This sleep learning script was designed to assist the listener in enhancing self-thoughts related to releasing self-judgments and beliefs, and gaining a positive sense of unconditional love for the self. This "Stop Smoking" program was designed to assist the listener in gaining a positive association with fresh air and healthy habits and a negative association with smoking. It was also designed to assist the listener in gaining self-beliefs related to self-care, and channeling emotions into healthier activities. This "Good Luck" program was designed to assist the listener in gaining a positive, winning attitude that attracts positive circumstances and people. Some say that we are the sum total of what we surround ourselves with. For example, what we choose to watch on television, listen to on the radio, who we choose to surround ourselves with and even the thoughts we think all have an effect on our overall perceptions and thought patterns. This effective communication sleep learning resource was designed to assist the listener in gaining enhanced communication and negotiation skills, improving the quality of their relations with others, maintaining a level of self-respect and respect for others, gaining social confidence and understanding, and expanding the listener's ability to strategically create win-win solutions. 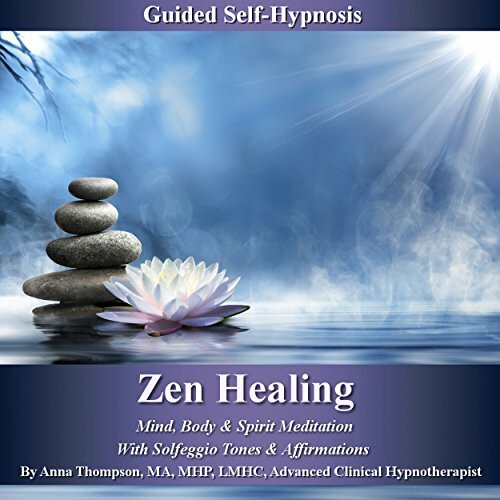 This "Zen Healing" hypnosis program was designed to assist the listener in gaining enhanced states of consciousness and self-healing through visualizations based upon the mindfulness principles of Zen. This program consists of four chapters including an introduction, guided self-hypnosis, meditation, (partly guided, with ancient Solfeggio frequencies) and affirmations. The hypnosis induction features isochronic tones which are a form of brainwave entrainment to help achieve deeper relaxation. This sleep learning script was designed to assist the listener in enhancing self-thoughts related to overcoming fears of intimacy and commitment, gaining mindfulness and mastery over phobic reactions, making choices that benefit the authentic self, and establishing a healthier sense of relationships. 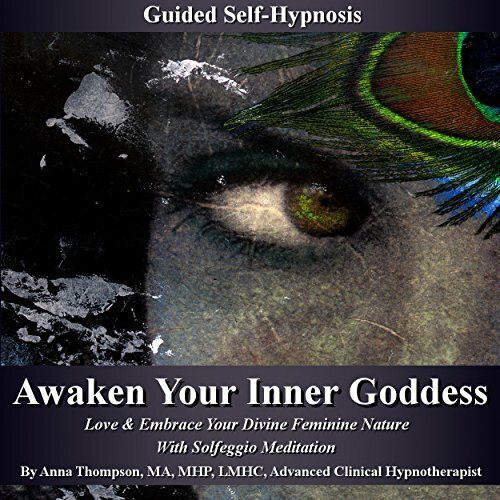 This Awaken Your Inner Goddess hypnosis audiobook was designed to assist listeners in getting in touch with their divine feminine nature, increasing confidence, releasing stereotypes and common female-related shame, and getting in touch with their own unique goddess energy. This program consists of four chapters, including an introduction, guided self-hypnosis, meditation (partly guided, with ancient Solfeggio frequencies), and affirmations.